This is a camera line made in the Rhineland near the Black Forest and many of them will have “Made in US Zone” on them. The more common models are the Solida I, II, or III. Less common is the IIIe in both 6×6 or 6×9 offerings. 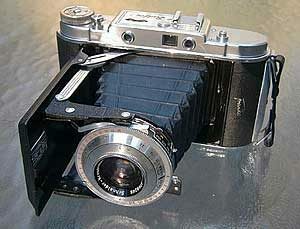 Another model was a very nice Solida IIL which sported a Schneider-Kreuznach Xenar lens and a Lightmeter, but no rangefinder. Really excellent camera. 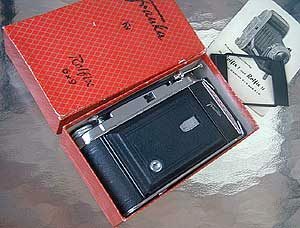 The most desirable Franka Solida is of course the Solida IIIe. This model has not only the f2.8/80mm Radionar, but also a rangefinder… though uncoupled. 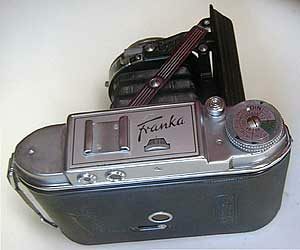 I think it is every bit as desirable as the Isolette III or the Agfa Record III. 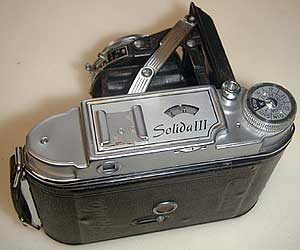 The Solida IIIe is an excellent camera and usually found in very excellent condition.